Translation of an article published by falle-internet.de, a non-profit-organisation fighting cybercrime. 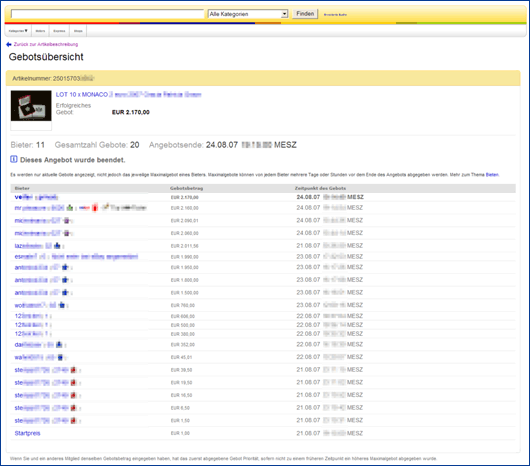 Red alert at eBay.de. 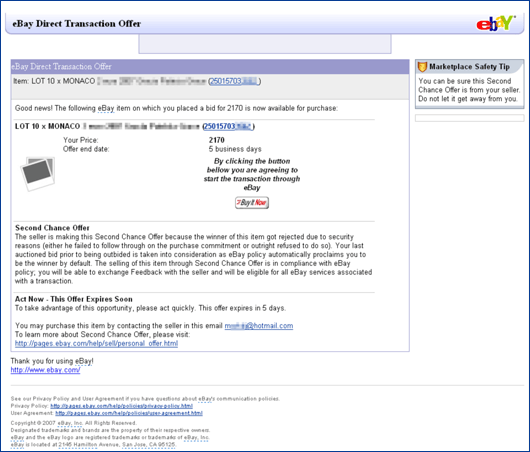 Members of eBay discover that cyber-criminals can read out their basic data. 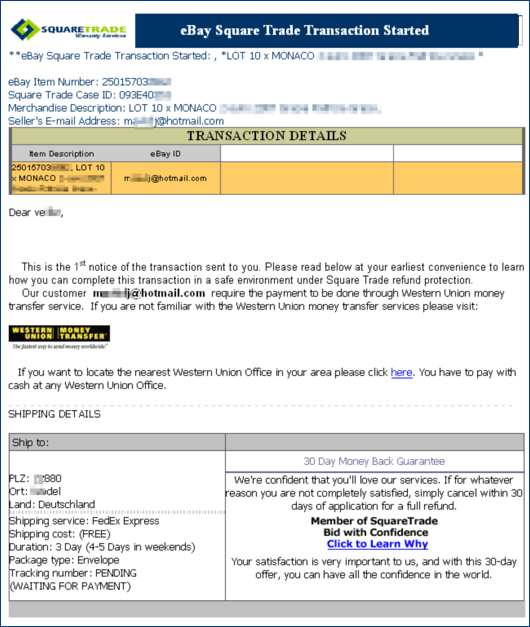 They receive direct fake Second Chance Offers on their email-account and were redirected to a fake payment checkout page with a form with their own postal code and adress allready filled in. Everyone who is able to find this webpage, can use them. No matter, if he is a criminal, or someone else - like a member of falle-internet.de who tested them for demonstration purposes only. 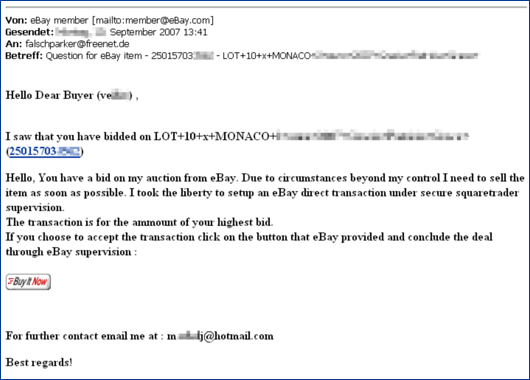 Dr. Stefan Groß-Selbeck, Geschäftsführer Deutschland (CEO ebay.de), can possibly receive this fraudulent offer containing his (non-public) adress wich is deposited in his eBay-account. The offers differ in their looks, depending of the origin sent from. Nine out of eleven bidders will get email, the remainig two will not. Their bids were to low, as the software announces. 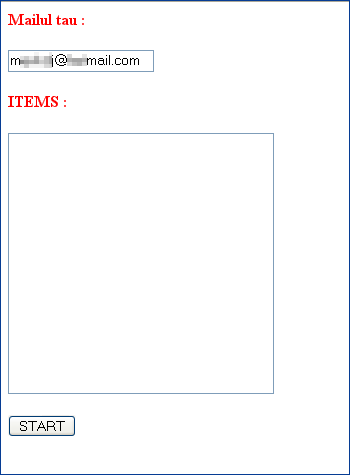 The bidders email adresses are shown and might be stored for further usage. The comparison with the items bidding list demonstrates how perfect the script works. 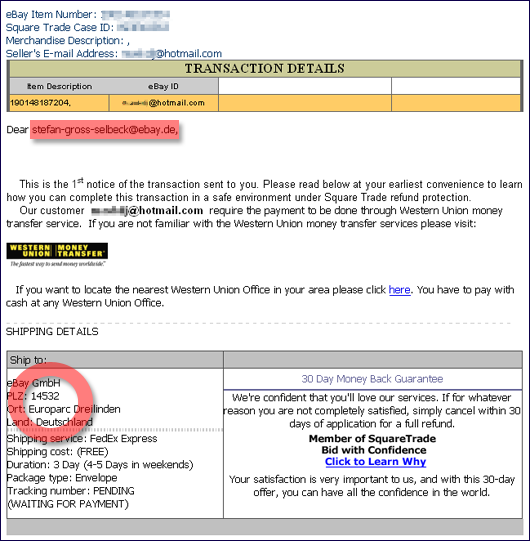 Accepting by a click on the button, you are forwarded to a payment checkout. The shipping adress is filled in already. 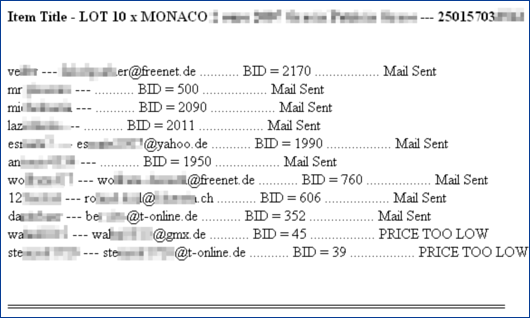 Private data - email adress and city are the same stored with eBay and were read out from the eBay data base simultaneously. The First Version has been replaced by this actual one.